Top Cat is one of the UK's most accomplished MC's, having recorded his first record in 1988 called Love Mi Sess, earning a no1 in the UK reggae charts in February 1989 and being awarded Record of the Year at the Entertainment Enterprise Awards. He then went on to be a stalwart on the UK's no 1 dancehall soundsystem Sir Coxsone sound alongside Daddy Freddy, Ricky Tuffy, Prento Youth and Tenor Fly. With the decline of live MC's on soundsystems Top Cat returned to recording by joining Fashion Records where he scored big hits with "Gallist/Sess Weh U Want" "Request the Style" and also "Push Up U Lighter" for then Fashion Records engineer Gussie P. After a successful spell at Fashion Records Top Cat formed his own label 9 Lives Records utilizing the studio he first started his career at with co producer Joe Grine at Stone Wall Studio. His own productions were the biggest reggae tunes released for 1994 with "Over U Body" and "Wine Up U Body" all topping the reggae charts while simultaneously scoring number 1's in the UK jungle charts with "Push Up U Lighter/Sweet Vibration" and "Champion DJ", the only MC to ever do this. With 2 album releases on his label 9 Lives Records (9 Lives of the Cat and Catonine Tales) Top Cat proved himself to be a major player in the UK urban music scene. Top Cat won UK MC of the Year 4 times over these years and was at the forefront of the UK Garage scene with his hit "RIP Groove" alongside Double 99. 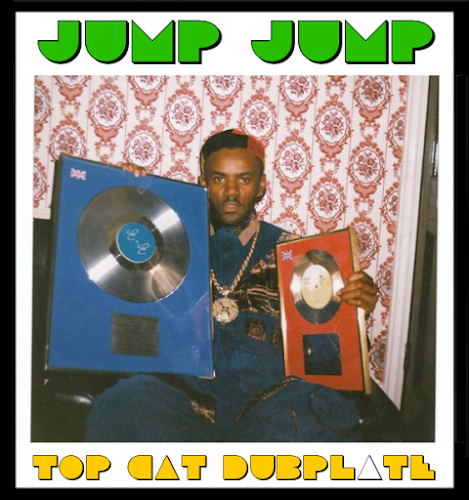 Taking time out at the start of the 2K Top Cat put out an album for his fans in the USA and Canada called the Most Sensational (which is free to download here for a limited time), featuring classic tracks from the golden age of jungle alongside his own fledgling productions. The album was a great success and Top Cat toured in the States and Canada during this time. With interest in his music rising again in the UK and Europe Top Cat returned to recording and touring on this side of the Atlantic again performing in Germany, Italy, France, Switzerland and many other European countries. His hit Champion DJ was remixed by Shy FX and was a big hit in the new Drum & Bass scene and the follow up called "Everyday" saw Top Cat return to number one in the D&B charts again in 2006. In 2007 Top Cat returned to no 1 in the reggae charts with the new version of the Love Mi Sess riddim "Sess weh u want" now as the veteran emcee on the block. He then recorded the vocals for an advertisement made for Comfort Fabric Conditioner that is broadcast on television all over Europe and is one of the most popular advertisements on television. Watch out for the new album from Top Cat to be released this autumn with Nu Urban records which will feature some of Drum & Basses top producers remixing Top Cats legendary vocals.